Has biblical Sodom and Gomorrah been found? Stephen Collins, an Albuquerque biblical archaeologist, says he has uncovered the definitive site of Sodom and Gomorrah in Jordan. Collins has excavationed at what is known as Tall el-Hammam and is planning several more. He is the dean of archaeology and biblical history at Trinity Southwest University in Albuquerque. Where was Moab? Who were the Moabites? The region immediately east of the dead sea was known as Moab in ancient times, and the villagers who planted their crops and grazed their flocks between the Dead Sea and the desert fringe were the Moabites. Egyptian records from near the end of the Late Bronze Age provide the earliest inscriptional references to the region and its inhabitants. Unfortunately, these Egyptian references are scarce and tell us very little about the people who occupied Moab at that time or earlier. Most of our written information about Moab and the Moabites comes from the Hebrew Bible, in fact, and from the so-called Mesha Inscription which reports the deeds of the ninth century King Mesha of Moab who finds mention also in the Hebrew Bible (2 Kgs 3). Assyrian inscriptions from the eighth and seventh centuries BCE provide passing references to later Moab rulers. When the southern Transjordan fell first under Nabataean control during the Hellenistic period and then, in 106 CE, was incorporated into the Roman province of Arabia Petraea, most of the indigenous “Moabite” population east of the Dead Sea would have remained in place while the name Moab gradually dropped out of use. Historically, therefore, the names “Moab” and “Moabite” pertain to the Iron Age. To read this article in full and to order sixty-years of Biblical Archaeologist online visit this page. For citations of references to Moab in ancient non-biblical sources, see Miller 1989a. In 1887, an Egyptian woman discovered a cache of cuneiform tablets now known as the Amarna archive. This archive, which today numbers approximately 380 tablets and fragments, was named for the archaeological site at which it was found, Tell El Amarna. As the ancient Egyptian city Akhetaten, Amarna served briefly as the capital of Egypt during the reign of Amenophis IV (1363–1347 BCE) the Pharaoh who, under the self-selected name of Akhenaten, had exchanged the traditional cult of Egypt for the cult of the Aton and moved the capital to this new location. The Amarna documents, which originate during both the reign of Amenophis IV and that of his father Amenophis III (1402–1363), are written on clay in Akkadian cuneiform, the international language of the second millennium BCE. The vast majority of the documents in the Amarna archive were the 350 letters, or inventories attached to letters, commonly known as “the Amarna letters.” These inscribed clay tablets provide us with a glimpse of the incoming and outgoing communications of the courts of Amenophis III and IV, whose empires included the land of Canaan. 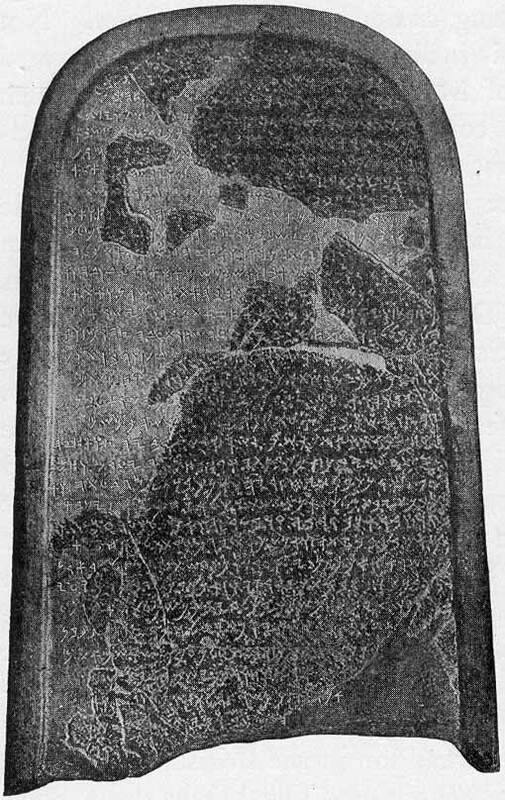 Messengers, mār šipri, carried the letters with them from sender to recipient. Although the language of the Amarna letters was Akkadian, the dialect of the letters was not the standard dialect of the Mesopotamian cuneiform homeland, but rather a mixed dialect that included both standard Akkadian vocabulary and forms as well as features drawn from West Semitic dialects. Cuneiform in Canaan Project, is a study of sources written in Cuneiform from The Land of Israel. Astrolabes and Related Texts, examines the earliest surviving group of astronomical texts. Mesopotamian Cosmic Geography, Eisenbrauns, Winona Lake Indiana, 1998. Cuneiform in Canaan, Cuneiform Sources from The Land of Israel in Ancient Times, The Israel Exploration Society, Jerusalem, in press, with Takayoshi Oshima and Seth Sanders. The Astrolabes and Related Texts: Mesopotamian Astronomy Before 1000 B.C., Archiv fur Orientforschung Beihefte-series, Vienna – in preparation. W. Horowitz with P. Watson, A Catalogue of Cuneiform Tablets in The Birmingham City Museum, Volume II, Aris & Phillips Ltd., Warminster, 1993. W. Horowitz with P. Watson, A Catalogue of Cuneiform Tablets in The Birmingham City Museum, Volume I, Aris & Phillips Ltd., Warminster, 1986. Writing in Issue Three of Volume #60 of the Biblical Archaeologist, Dr. Larry G. Herr writes (excerps) . . .
[Yet] permitting one’s present understanding of the biblical text to dictate how archaeologists understand what they dig up, and how they dig it, is intellectual looting. It remains difficult to interpret archaeological remains completely independent of literary sources. 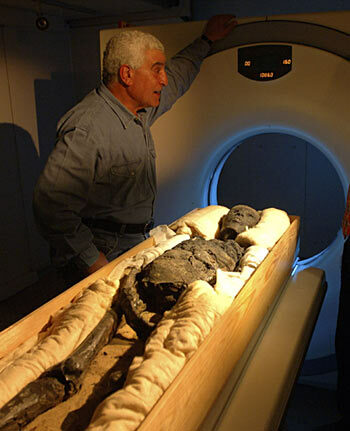 Must we then disavow use of the Bible to help us understand archaeological finds? . . . . . just as objective biblical scholarship attempts to work without imposing religious or theological preconceptions on the text, so archaeology must be practiced free of any historical or religious preconceptions, including those we have of the Bible. Only then can archaeology be an accurate tool for biblical study. Otherwise, our understanding of both the Bible and archaeology is warped by our preconceptions. Despite its limitations, the Bible still remains our best extra-archaeological artifact. It often helps us give names to things we find, from statues of gods to agricultural items. Without the Bible, our understanding of Iron II archaeology would be monochromatic; and without archaeology our understanding of the world of the Bible would be just as lackluster. Larry G. Herr received his Ph.D. in Near Eastern Languages and Civilizations from Harvard University in 1977. The Israel Museum has put online the Great Isaiah Scroll, one of the longest and best-preserved of the Dead Sea Scrolls. Viewers can “unroll” the entire text on their screens and zoom in to see passages up close. From the earliest times, Egyptians denied the physical impermanence of life. They formulated a remarkably complex set of religious beliefs and funneled vast material resources into the quest for immortality. This exhibition focuses on the understanding of the afterlife among Egyptians some 3,000 years ago, in the period of the New Kingdom (1550-1069 BC) through the Late Period (664-332 BC). The New Kingdom marked the beginning of an era of great wealth, power, and stability for Egypt, and was accompanied by a burst of cultural activity, much of which was devoted to the quest for eternal life. The exhibition is divided into six sections: Journey to the Afterworld, The New Kingdom, The Royal Tomb, Tombs of Nobles, The Realm of the Gods, and The Tomb of Thutmose III. Copyright National Gallery of Art, Washington D.C. Check your local public library for accompany public free lectures given in association with the exhibit. 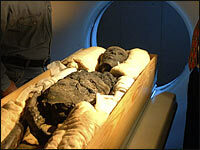 How did King Tut die? New evidence…. According to a report on NPR’s Morning Edition (March 9, 2005) new scientific tests reveal that the boy-king probably did not die of a lethal blow to the head as previously thought.